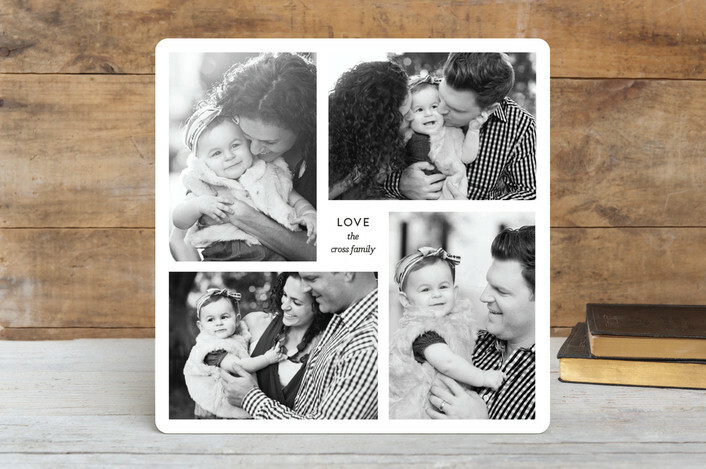 If you follow me on instagram @blessednestblog, you'll know we are huge fans of Minted around here! 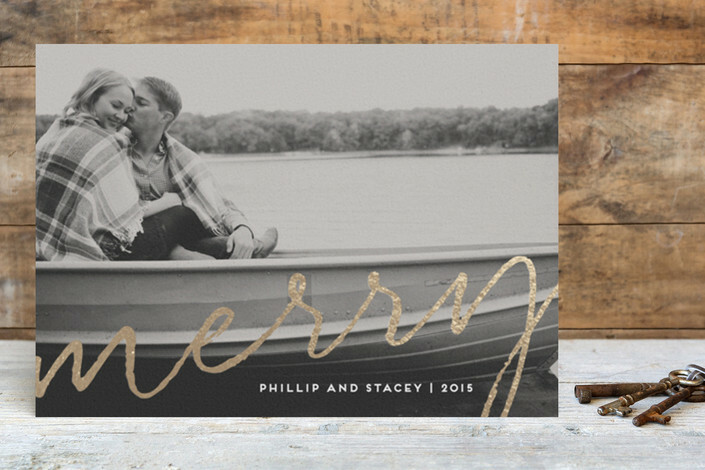 They are my go-to spot for any + every invitation, card and announcement I need. These days in a world saturated by technology, old fashioned snail mail is extra special. I love sending things through the mail, knowing a little piece of my family -- whether it be an invitation, card or photo -- is arriving in a loved one's mailbox. I'm so excited to be partnering with Minted this holiday season to share my favorite picks for holiday cards. 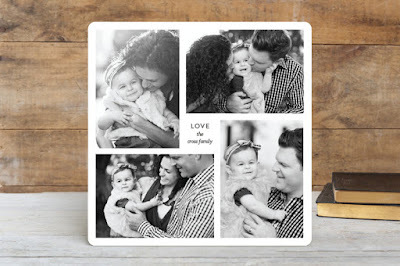 I had to restrain myself from using the "Favorite" button on their website with almost every single design, because the variety is incredible and they offer cards for every family and style. Minted believes that great design lives and thrives in the hands of independent artists that as consumers, we don't have access to through traditional retailers. 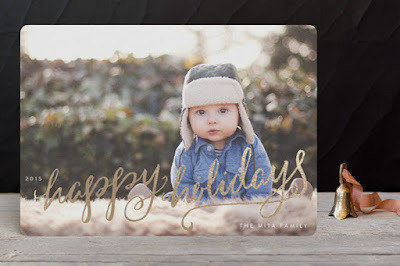 Using top technology, Minted allows consumers to discover creative talent through the products they sell. Minted's community of independent artists and designers are located in 48 states and 43 countries. They are illustrators and textile designs, painters and packaging designers, marketers and even stay-at-home Moms! Some have design degrees and others are participating in Minted competitions to learn design for the first time. I believe one of the reasons their Holiday cards are so great is because each and every one is designed by an independent artist! You get a little bit of everything, making Minted the perfect one-stop-shop for everybody! 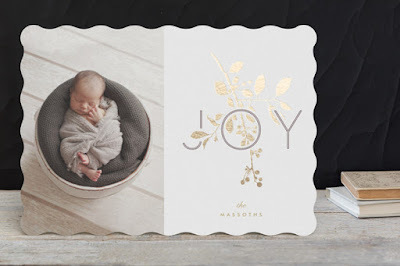 Below are my top five picks for Holiday cards. I love having photos on ours, since we send cards out to friends and family all around the country, many of which we haven't seen in months. I also love saving our Christmas cards each year and pulling them back out as December nears, to see how much we've changed and grown as a family. This holiday season is extra special because of our newest addition, our first Christmas as a family of four. Clearly, I'm loving the foil designs this season since 3 of my top 5 feature real foil -- they add such an elegant touch to your cards. When personalizing your cards, you can also change the border shape, just adding one extra little touch to the final product. 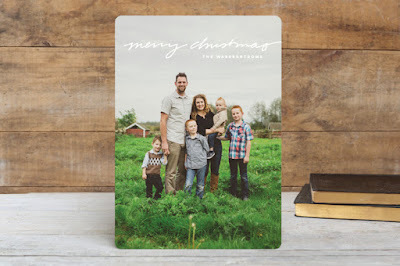 I almost think of Christmas cards as gifts in and of themselves, and Minted does an excellent job of offering so many options for personalization so you're able to put your own touch on your family's cards. Stay tuned for a full look at the holiday cards we chose with Minted coming soon! I have never gotten any cards or invitations printed before, if you can believe it.. I've always wanted to but seem to wait too long and then it's too late.. I love Minted! We got our save the dater from them. So many cute choices.